The Skin disease is an incurable disorder in view of Allopathy / Modern Western medicine system, but comparatively Psoriasis can be well treated and cured by the Ayurved a and Ayush combination and integrated treatment and management. See the white layer in the model. This is a fat level collection in between the skin layers. When noxious and toxic matter accumulated with the digestion of fat unavoidable and unsuitable chemicals produced not suitable to skin produce irritation due to their chemical actions, which deteriorates the normal skin functions. As a result patches in skin tissues appears and forms ring shape with scabs. This condition is diagnosed PSORIASIS. AYURVEDA and AYUSH therapies have perfect treatment and a cure to Psoriasis. TREATMENT and management bases on the line of ETG AyurvedaScan findings and Ayurveda Chemical chemistry and urine examination after final diagnosis and appropriate selection of Ayurveda and Ayush combination and integrated treatment and management provides a cure for this dreaded disease condition. 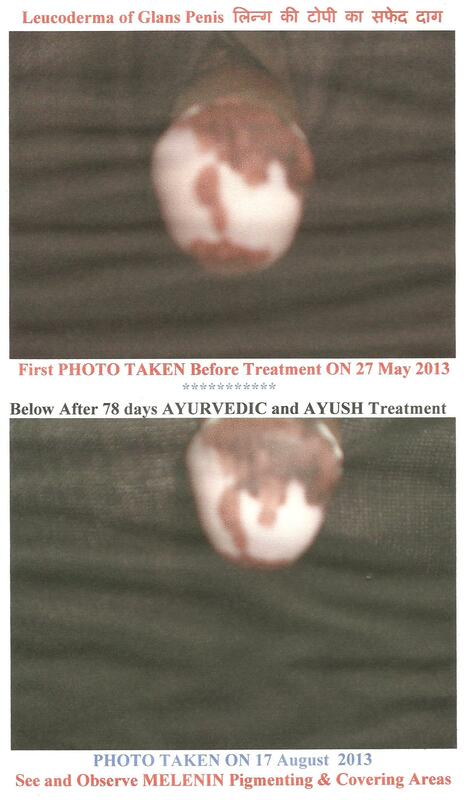 THIS IS A CURABLE DISEASE CONDITION IF TREATED BY THE AYURVEDA AND AYUSH THERAPIES.